The Redmi series is Xiaomi"s bread and butter; the company sells a boatload of these every year because these are by far some of the most affordable smartphones on the market while at the same time offering reasonable features and performance. This year, Xiaomi has released the new Redmi 6 and Redmi 6A models, which are updates for last year"s Redmi 5 and 5A. Launched at the same great prices as last year, the new models feature an updated design, larger displays, newer 12nm chipsets and a few other bells and whistles. 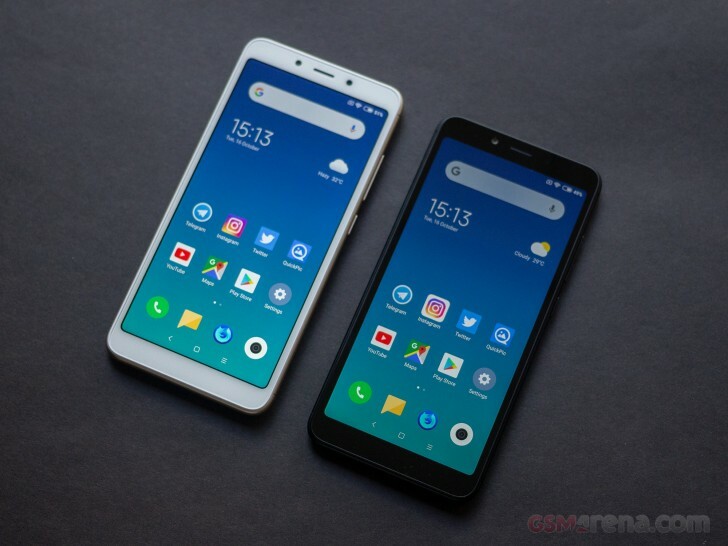 If the names weren"t a hint already, the two phones are actually very similar, with the Redmi 6A being the cheaper of the two and featuring some key cutbacks to achieve the more aggressive pricing. We"ll be taking a look at both of these simultaneously today, pointing out the similarities and, more importantly, the differences, as we go along. Disclaimer: You might notice that this review is shorter than usual and doesn"t include some of our proprietary tests. The reason is it has been prepared and written far away from our office and test lab. Still, we think we"ve captured the essence of the phone in the same precise, informative and detailed way that"s become our trademark. Enjoy the good read!